This feature allows you to assign and divide salary costings across time to get accurate daily reporting on salaried staff. Salary allocation allows you to edit the displayed distribution of salary costings, giving you more detailed and accurate reports. Please note that salary allocation is not for payroll exporting, rather, it will affect relevant costing reports. This update allows you to allocate a percentage of an employee's salary to ensure accuracy and additional options when you run wage reports in Deputy. First, apply the 'Salary' pay rate to an employee, which is done in the employee's profile. 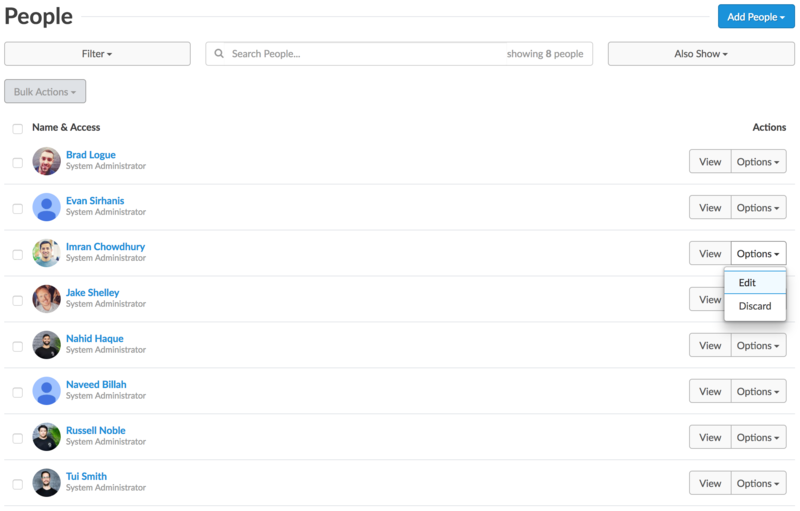 To do this, navigate to the People tab, then click 'Edit' in the drop-down. Scroll down to Pay Rates and in the drop-down box, select 'Salary'. In the 'Annual Salary' section, enter the employee's yearly salary. To apply Salary Allocation to an employee, click the 'Salary Cost Allocation' drop-down box and select your preference. The following section will run you through each option under 'Salary Cost Allocation'. After selecting 'Days of the Week', you will have checkboxes allowing you to select how you would like to divide the week's pay. You can also select the Areas which the pay appears under in the 'Areas Salary Allocation' box. When you are done, click 'Save Details'. 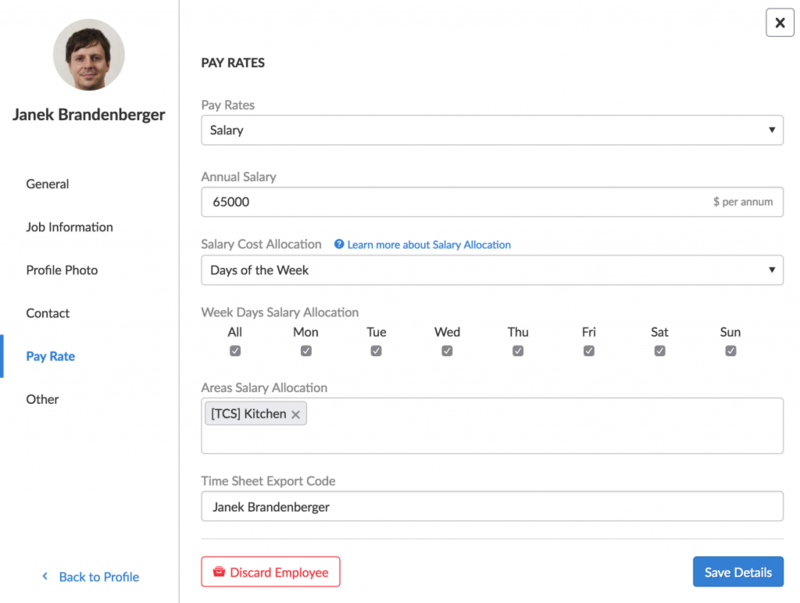 The Scheduled Hours option will allow you to evenly distribute an employee's salary based on the hours they have worked. 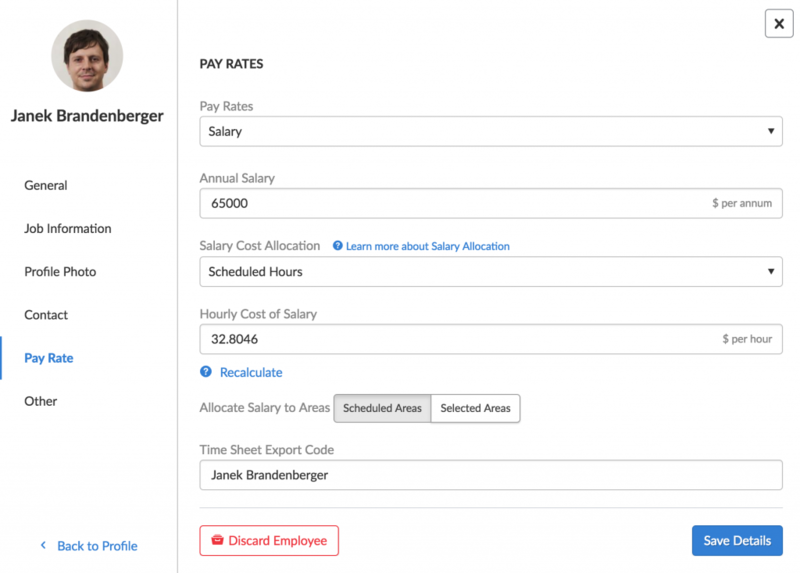 Selecting 'Scheduled Areas' will allocate the hourly cost of salary based on where the employee is scheduled. If we look at this from a real world example, Bob is scheduled as a Manager on Monday and a server on Tuesday. The hourly rate will apply to the areas worked on the schedule. The 'Selected Areas' option allows you to select which areas in which the salary is allocated to. In the 'Areas Salary Allocation' box, select which areas in which the salary is distributed. Using the above example, this particular employee is paid $65000 per year, and the 'Hourly Cost of Salary' equates to $31.1644 p/h. In the above report, the employee was scheduled for 15 hours and was paid $467.47. Looking at the employee's profile, 467.47 divided by 15 will be the employee's Hourly Cost of Salary, or in this specific example, $31.1644 p/h. To edit the standard weekly hours, please contact our Live Chat support team.